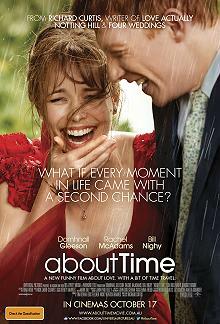 A new film from Richard Curtis (Love Actually, Four Weddings and a Funeral). At the age of 21, Tim Lake (Domhnall Gleeson) discovers he can travel in time...The night after another unsatisfactory New Year party, Tim's father (Bill Nighy) tells his son that the men in his family have always had the ability to travel through time. Tim can't change history, but he can change what happens and has happened in his own life - so he decides to make his world a better place...by getting a girlfriend. Over the years Tim finds that his ability to fix things is not a universe cure-all and that the secret to life is to live the best life you can, as fully as you can. This is not really a comedy, and not really a time travel story. It is rather a slightly slow, ordinary story about how to live an quietly extraordinary life.